This document is to waive notice of the special meeting of Shareholders of US Corporation. 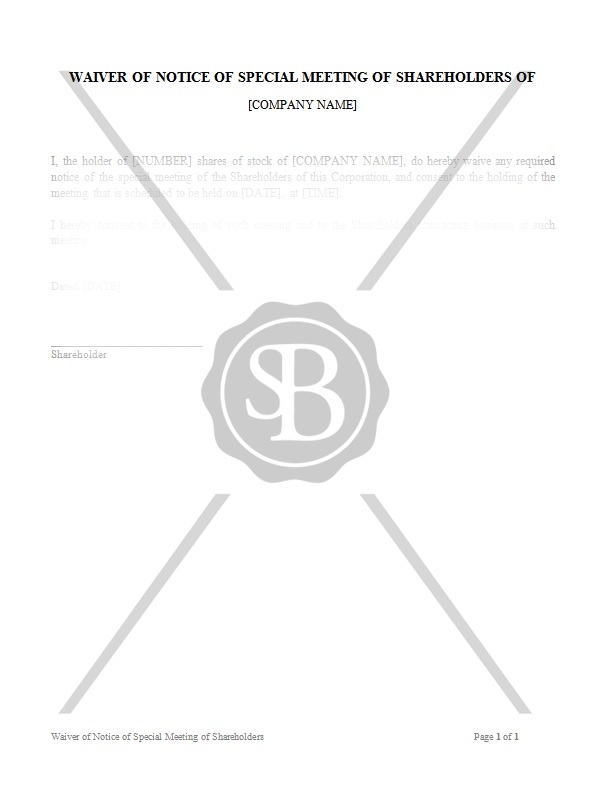 This form must be sent to, and signed by, each Shareholder. If the waiver is used, the notice and affidavit of notice are not required.